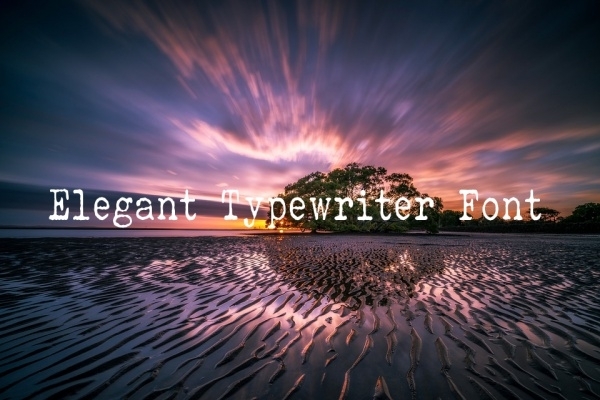 Typewriter fonts are typically fonts that represent the printed letter with classic typewriters that were used to compose documents during the olden times. 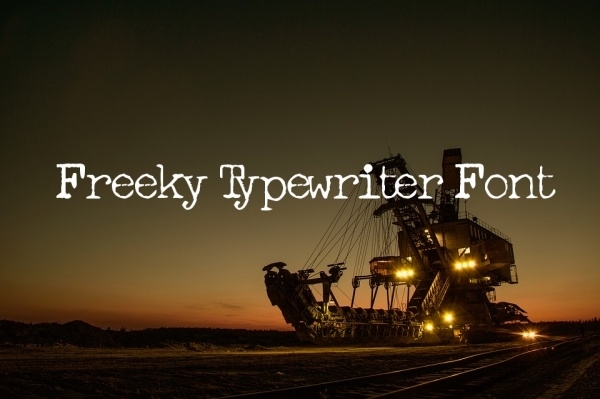 The machine fonts thus bring in a sense of literary genius and thus find their usage in several applications. They come in several varieties and can be clean, bold, classical, or vintage depending upon your requirement. As such, they can create an exciting audience for your material, be it on the web or on print. 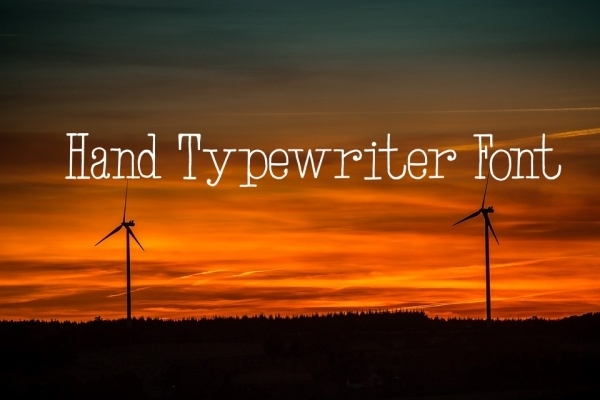 Here are 15 such unique typewriter fonts that you can use. You may also see Spring Fonts. 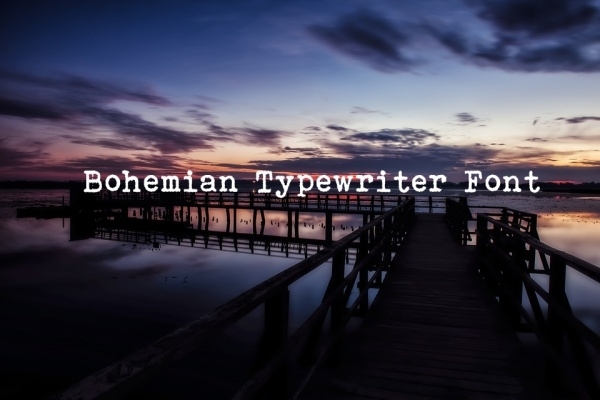 If you are looking to put a vintage touch to your print content here’s a typewriter font that replicates the initial days of authoring. 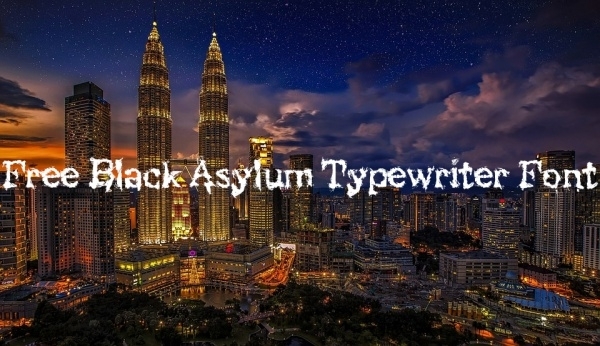 The font is rather bold and coarse and suits specific applications.You may also see Cursive Fonts. 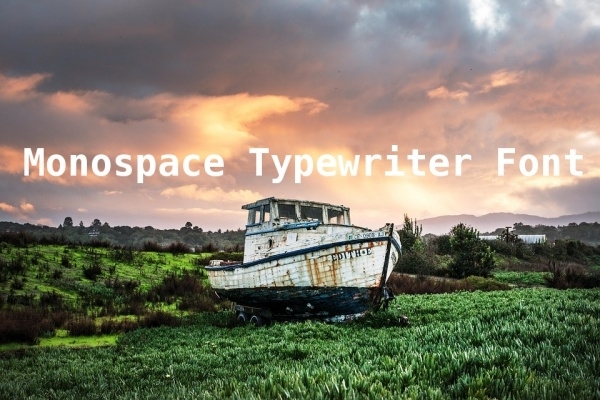 Sometimes, we start looking for the charm of rugged and old typefaces. This is perfect if you are coming up with a vintage poster design or a similar kind of material. 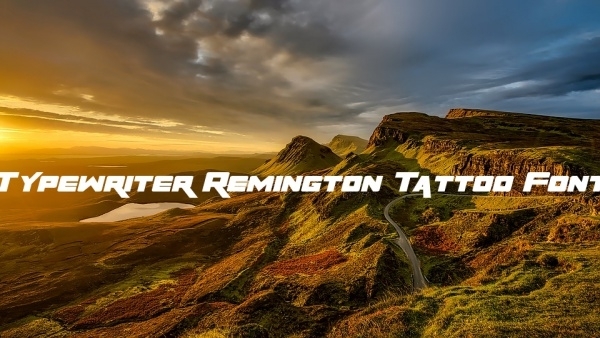 The typeface here takes the form of vintage Remington tattoo designing and would be a classic font to put into your web/print material. 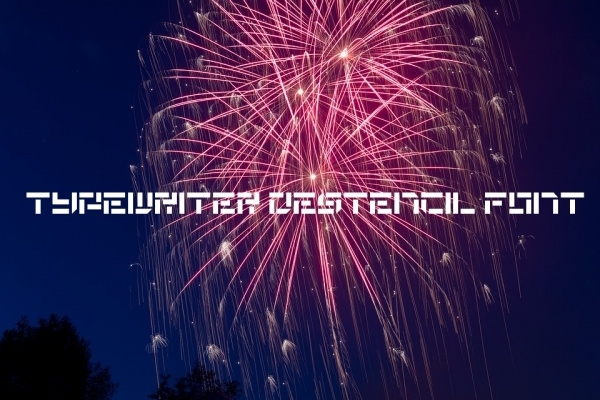 You can also seek to customize this font by rasterizing the text with Photoshop. The font brings in a visual that you would hope to see in old posters and bar hoardings. It’s the classic Tarjey style of lettering that can make your modern graphic designing unique. This would be the font that the first authors used. A literary classic, it easily takes back to the olden and golden age of writing and can make your overall design more dynamic. Clean, thorough and simple doesn’t always make the cut. Like there’s a charm to the Mexican cowboys, this is also a font that will look impressive when put to the right kind of audience. 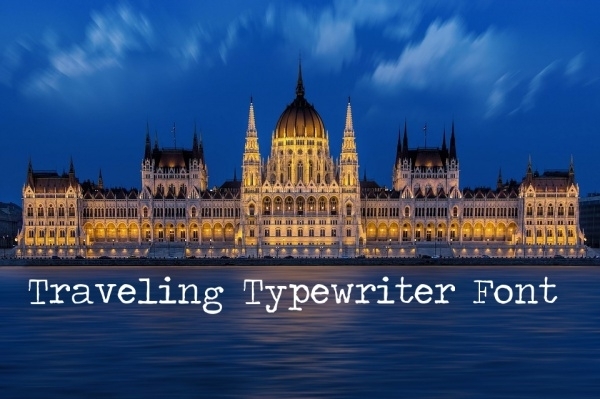 Here, the font imitates the type of handwriting and notes one would take when writing a travel memoir. It’s rough script but can also be interesting to place in your modern designing. 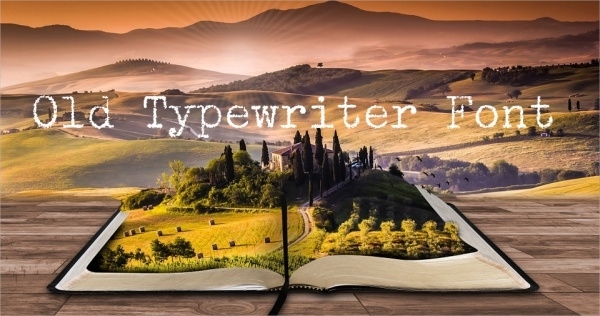 Manual typewriters bring in a unique charm in writing, one that cannon be accomplished with modern fonts. Well, we have a solution. 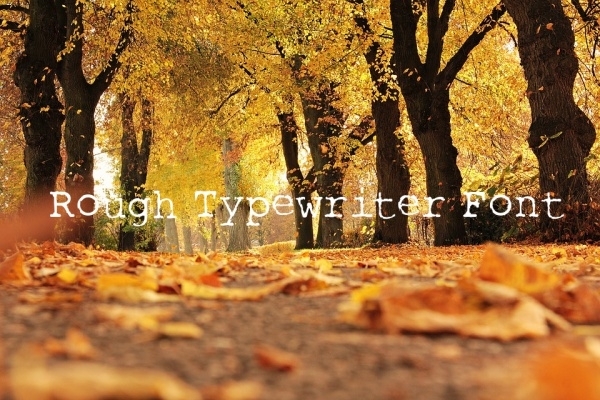 Use this hand typewriter font to add something extra to your design. This would be the perfect font to be used if you are trying to design something creepy, like Halloween messages. The cursive fonts don’t follow a definite scheme of writing but that’s the whole point of it! Have you ever used a stencil to come up with smooth font designing? Well, this font replicates the same effect and would be an interesting inclusion in your material, be it online or on printed material. 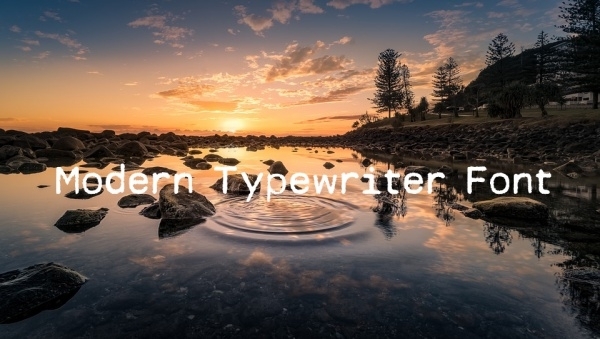 Modern typewriter fonts are smoother, clean and are ‘well kempt’. If you are looking for something similar, we have an interesting alternative for you. This font should find use in most print material designing. 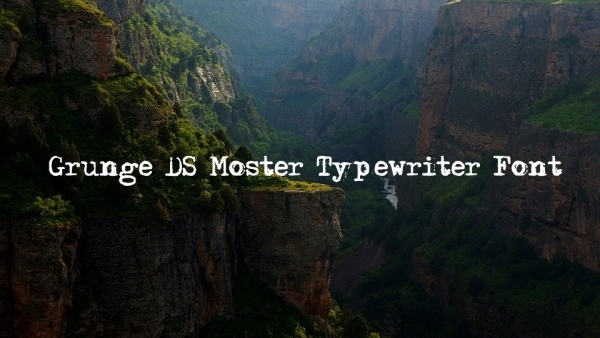 Typewriter font is not always coarse and this is best proved by this elegant font typeface. This is perfect to be used when you are coming up with greetings card messages, invitation letters and similar materials. Bohemian scripts have always been interesting and brings in a rough uniqueness to the platter. If you are trying to make your message look a bit different than usual, this would be a good choice. Monospace font finds its usage in a lot of modern web design, illustration and graphic designing material. If you are looking to get creative with your font, this would be one you can start experimenting with. Grunge DS Moster is an abrupt font and can be put to creative usage in graphic designing materials. It imitates old written letters that have been slightly bruised with time! 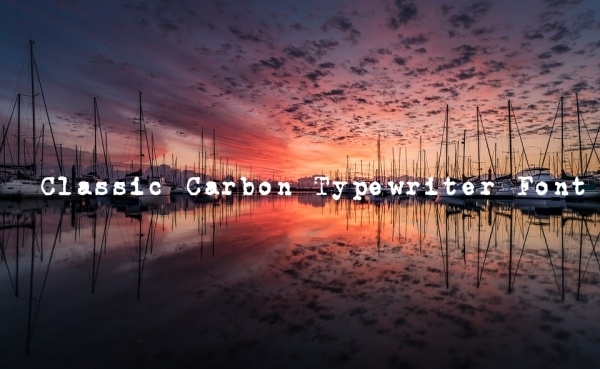 The application of these typewriter fonts largely depend on your own creativity and the material you are looking to put them into. 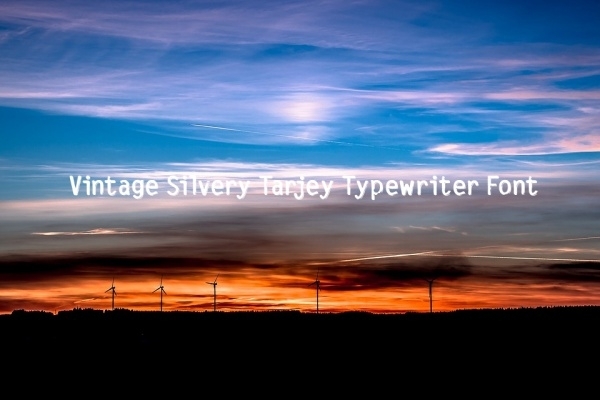 Most of the above fonts are offered royalty free and can be downloaded as .otf files and can be used with most image editing applications including Adobe Photoshop and illustrator. Just download them and add them to you Photoshop font library and you should be able to find them in the application when you restart it. Thereby, you can use these fonts as you would have done with the default ones. The usage is really easy but it’s the application that you should be more focused on.You may also see Hand Writing Fonts. All of the above are special fonts designed by some of the most creative and skilled designers from around the globe. Offered mostly for free, they aim to add more power and relevance to our graphic design work. The fonts also support complete customization, as would any other font in your library.